Two individual non slip ramps that extend to 9.5' long. Each ramp is 6.5" wide. Load rating is 600 pounds per set. 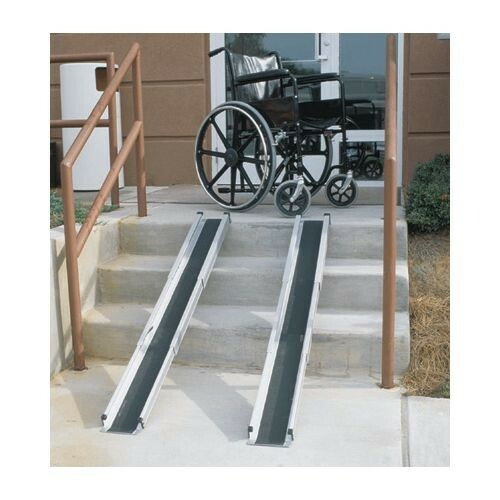 Get your wheelchair ramp rentals from Grand Rental Station.